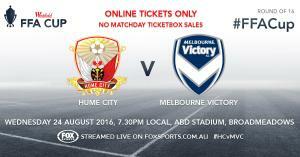 Hume City host Melbourne Victory in a repeat of last years FFA Cup Semi Final. City will be hoping for revenge as the former A League champions travel to ABD Stadium on the back of a win in the Round of 32 against Newcastle Jets. 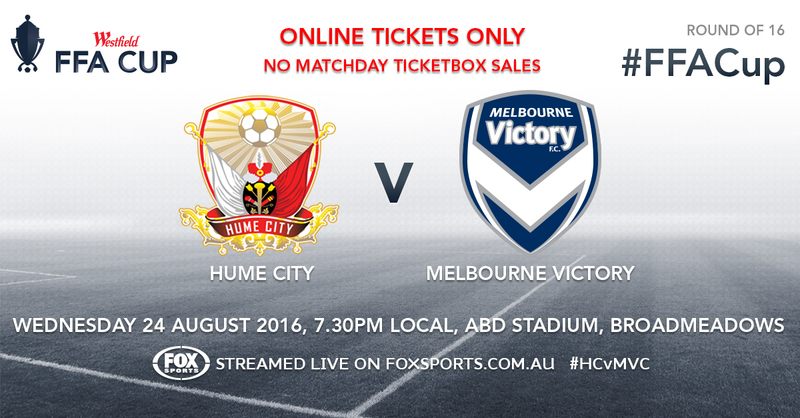 © 2019 Ticketbooth on behalf of Hume City FC. All sales are final. Tickets are non-refundable.